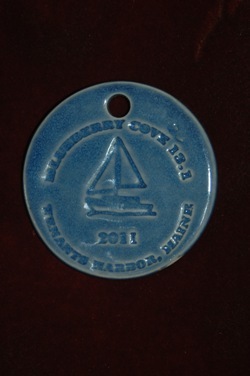 Support Tanglewood and Blueberry Cove by joining midcoast Maine’s 9th annual half marathon on August 25, 2019, at 7:30 AM. Registration is $90 — all proceeds go directly to supporting UMaine Cooperative Extension 4-H Camp & Learning Centers at Tanglewood & Blueberry Cove. Awards will be given to 1st place males and females overall and in the following divisions: 18 & Under, 19-29, 30-39, 40-49, 50-59, 60-69, 70 plus. Finisher medals to all participants. No race day registration. Blueberry brunch available to all participants following the event. Down East Fish Chowder dinner available to racers on Saturday night for just $20 adults/$5 kids (includes fresh caught fish, locally baked bread, salad with veggies from the camp garden, and Maine blueberry pie). Limited lodging is available on site. You can reserve cabin space during the online race registration process. To register go to www.active.com. When and where does the race begin? Do you have a pre-race dinner? Are pets, baby strollers or headsets allowed? Is there hydration along the course? Do I get a medal even if I come in last? Can my friends help during the race? What’s the most important thing I need to remember? What is the closest lodging option? Is there anything to do in Midcoast Maine? How can I stay in touch with what’s happening with the Blueberry Cove 13.1? Yes. Only 250 runners/walkers will be allowed. Registration for the Blueberry Cove 13.1 is just $90. Due to a limited amount of spaces in the race, and the fact that this is an important fundraiser for Blueberry Cove, race fees are non-refundable and non-transferable. Yes. Enjoy a real Downeast dinner with fish chowder (featuring fish from Port Clyde Fresh Catch), fresh bread made locally, salad with veggies from the Blueberry Cove Camp garden, homemade blueberry pie and a beverage all for just $20 per adult, $5 per child. Online registration is available at www.active.com. No race day registration. Discover the REAL Maine. The Blueberry Cove 13.1 is loaded with country roads, gentle hills and lots of ocean views. The course is a ½ marathon, 13.1 miles. It is a challenging circumnavigation of the lower St. George peninsula, with the start and finish at Blueberry Cove Camp off Harts Neck Road in Tenants Harbor, ME. The first half of the route is a rural back road, with quiet coves, gentle hills and few houses, while the second half comes alive with much to see. Enjoy the beauty of Maine’s largest fishing fleet once you reach Port Clyde, also home of the Monhegan Boat Line ferries. 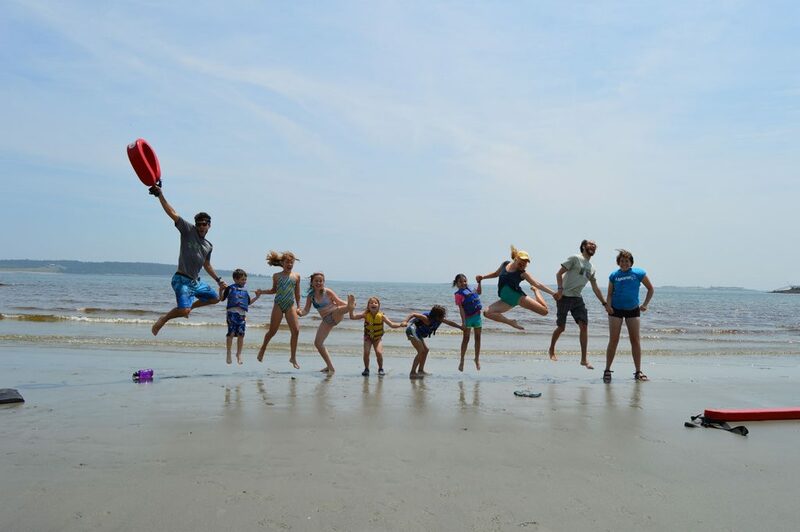 Travel the same route as Forest Gump traveled upon reaching the Marshall Point Light House, then head along Drift Inn Beach, the Atlantic Ocean and back to Blueberry Cove for a scrumptious Maine blueberry brunch. Beautiful, it’s Maine! Definitely shorts weather. Comfortable nights, warm days. Yes. Walkers will start with the runners at 7:30 AM. Because walkers are not timed, they may leave up to 1 hour earlier as long as they have checked in first. Please note, not all water stops may be set up this early. Are pets, baby strollers allowed? No pets. Baby strollers are allowed. There are indoor bathrooms at the start and finish of the race plus 4 more porta potty locations along the route. We have hydration stations approximately every 2 miles. Of course! All participants will be guaranteed a finishers medal. We want you to be proud of your accomplishment. Blueberry Cove Camp has limited shower facilities for runners on race day. Awards will be presented at 10:00 AM during the blueberry brunch. No. We are a small grass roots race. We have no big sponsors and limited small sponsors. We want participants to run for their health, for fun, for the challenge and to help raise funds to support our programs. Yes, just have them contact us at blueberrycove13.1@gmail.com for more information. Once the race starts, we will be holding off traffic on Harts Neck Road until all the racers have cleared the 1-mile run to Route 131. We suggest you leave before the start of the race and park at the ball field approximately 1.5-miles from the start, just north of Harts Neck Road, or park there and walk back to the start. There will be plenty of parking and a porta potty available at this location. You may also proceed further north on Route 131 and pull off into the parking lot of the Tenants Harbor Baptist Church. Runners will be turning at this location and the road will narrow. Once the racers have passed these two spots, we then suggest you head south on Route 131 and toward Port Clyde. There will be several places to watch from this direction. First chance to see the runners will be at the Ridge Road/Turkey Cove Road intersection. Travel along Route 131, pass over a small bridge with water on each side and then turn right onto the Ridge Road. Within a few miles, you will see our directional team at work. Other locations to watch are in Port Clyde. Parking can sometimes be a problem, so please use good judgment and don’t use business parking lots. Our best recommendation for viewing the race is along Drift Inn Beach. From Route 131 South, we will have a sign marking the beach parking lot. Here there will be porta potties, a water station and plenty of room to walk along the beach road to cheer on your friends and family. If the parking lot is full, you may also park along Route 131 near the parking lot entrance, as this is not part of the race route. For those more ambitious, the parking lot is within 1.5 – 2 miles from Marshall Point Light, another water stop, and porta potty stop. This road will be closed to road traffic because it is an out and back for the runners, so please use common sense while walking this route, remember, these folks are in a race not an obstacle course competition! The best suggestion we can give is to contact us ahead of time and volunteer at a water station. They will be located every two miles along the route and offer first-hand viewing. Maps will be available. Because the St. George peninsula is mainly rural back roads, we encourage spectators to abide by our suggestions for the safety of the runners so as they do not get hit by a car or have trouble breathing all the car exhaust. Of course, we can’t keep you off most of the route, but we highly recommend that if you absolutely need to check up on your runner, please travel in the same direction of the racers. Midcoast Maine has many choices to pick from including campgrounds, bed & breakfasts, hotels, motels, inns and cottages. Visit the St. George Business Alliance or Penobscot Bay Chamber for local listings. There are also a limited number of cabins available on site. Blueberry Cove Camp. Simple rustic cabins located just steps away from Race Headquarters and the dinning hall. Cabins are bunkhouse style with multiple beds per cabin. Some cabins have their own bathroom while others use a common bathhouse. Five private cabins have double beds. 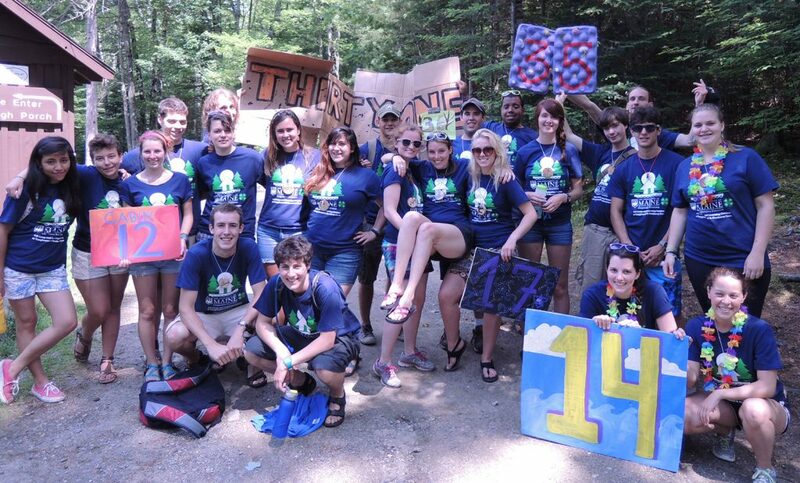 Lodging is available either dorm-style or by renting all the beds in one cabin which is great for friends and family. Campers must provide their own sheets or sleeping bag. Price: $20 per night / per person for a group cabin; $25 for private (2 person) cabins; $15 for space to set up your own tent. You can register for cabin or tent space during the online race registration process. Yes, lots. Hiking, biking, hills, rivers, lakes, ocean beaches, museums, lighthouses, art galleries, great cafes and restaurants, pubs, lobster and lobster boats, and much, much more. Visit St. George Business Alliance or Penobscot Bay Chamber for listings of what to do.